As a Solo Mom, there is one task I dread: taking my car to get repaired. Being a military family, we move around a lot, and the downside of that is having to find new car-repair shops and relying on recommendations from people whom we may not know very well when we do so. And I don’t know about you, but in my experience, a car repair always comes at the worst times—during a deployment or long trip away or when we have so much going on between school, work, and sports that our schedule ensures that I’m the one who has to deal with it. On the bright side, in the past 14 years or so, I’ve learned a few things about protecting myself when it comes to having my car repaired. 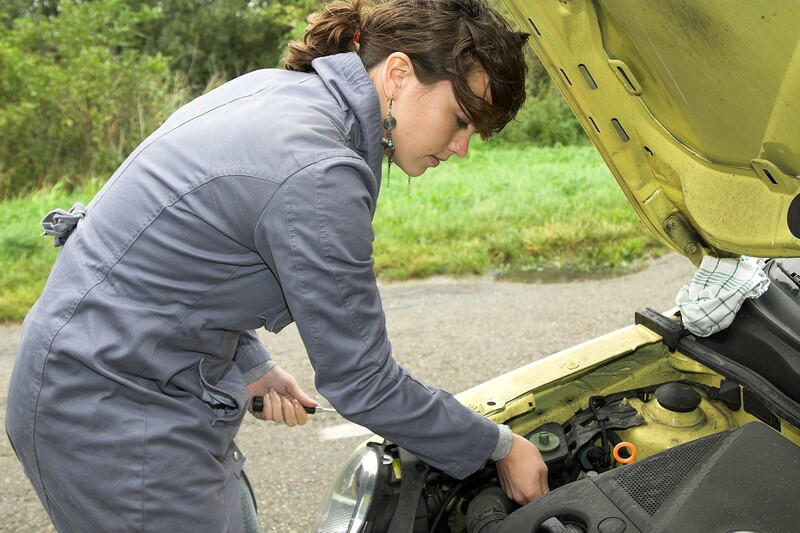 Here’s what single moms should know before taking their cars to the repair shop. Know your vehicle. The best thing you can do is familiarize yourself with the make, model, and year of your vehicle. You can find all of this in your owner’s manual, and to order any part, you’ll need this information. I can’t tell you how many times I’ve felt put on the spot in the auto-parts store after being asked for this information. There’s nothing that screams “novice” like not knowing those basic facts. Try to do small repairs yourself. Don’t be afraid to do small repairs on your vehicle yourself. If you’re completely clueless, you’re not alone. I recommend calling a friend or a small teaching garage and asking if someone there can show you the simple things, such as checking and changing your oil and putting on a spare tire. Some teaching garages will even walk you through repairs such as changing your brakes or a belt. If you don’t have a teaching garage in your area or are without a trusted friend, YouTube is also a great resource for learning how to do your own repairs, and many videos walk you through each step, as in this video of an oil change. Check your tire tread. Another good thing to learn is how to check the tread on your tires so you can easily estimate when to take them in to be changed. My dad taught me how to check my tire tread by using a penny: you simply take the penny and insert it into the tire’s tread groove with Lincoln’s head upside down and facing you. If you can see all of his head, your tread depth is less than 2/32 inches, and you should replace your tires as soon as possible. Know the tire pressure. Speaking of tires, they now make these really cool caps that go on your tire valves so that when your tire pressure is too low, the caps will turn a different color. Some cars will alert you by using a sensor when your tire pressure is low. It is also a good idea to carry a tire pressure valve in your vehicle, which you use by hooking it up to the valve on the tire itself so that the gauge can measure the pressure. You can find your correct tire pressure in your owner’s manual, which may describe how to check the tire pressure yourself. The temperature outside often can affect tire pressure, so don’t be alarmed if you wake up on the first cold or hot day of the year and need to stop and put in or release air from your tires. If you’re nervous about doing it yourself, stop in at a garage, as most workers will help you out for free. Google is your friend. When you first notice a problem with your car, the best thing you can do to gauge the situation is to google the make, model, and year of your vehicle along with the symptoms. This is especially helpful for finding recalls and understanding what could be causing the issue your car is experiencing so when you call the garage about it, you have some background information and are familiar with the vocabulary used for vehicle repair (and therefore less likely to get swindled at a garage). You also can use Google to look up prices for car parts—so many places upsell on car parts! Call around to get an estimate on what it will cost to replace the part, such as an alternator or brakes; know the cost of the brakes themselves, and ask how much the garage estimates in labor fees so you have an idea of what the garage will be charging you before you get the invoice. Don’t be afraid to call places such as AutoZone, either; they have installed windshield wipers and even car batteries for me for just the cost of the part! Seasonal maintenance is essential. Each season, you should inspect your vehicle and prepare it for the seasonal changes that could be hard on it. If you’re going into winter or spring, inspect your windshield wipers, especially if you live in a colder climate where there is snow because cold, snow, and ice are extremely hard on the rubber wiper blades. Going into the colder months, also be sure to check the engine coolant. If it’s low, add antifreeze, and if the condition of the coolant doesn’t look great, you can flush the system and refill. If you’ve driven 30,000 miles or so since the spring, consider getting a tune-up to make sure everything is working great. Other areas you’ll want to inspect are your tires, belts, and hoses. If you live in a climate where it snows, consider waxing your car with a high-grade car wax to protect it from snow and ice. Always phone a friend. In addition to calling recommended garages for estimates, you should always call a friend or family member before you get work done to see what he or she thinks about the symptoms your vehicle is exhibiting and/or a price estimate. On every call home to my dad, I learn something new, and he also coaches me on what questions I should ask when taking my vehicle in for repairs so that I am less likely to be taken advantage of. Be prepared for the worst-case scenario. In the circumstance that your car repair is too pricey and you decide that you would rather trade in your car, you may find yourself unexpectedly car shopping. For Solo Moms, car shopping can be pretty intimidating, but read our article about shopping for a new car, and you will be prepared and ready to make a deal. Tara Glenn is a Solo Mom of four who currently resides in Pensacola, Florida. She has a background in public affairs, writing, and photography. Tara spent five years in the Navy and now volunteers with the Civil Air Patrol as a public affairs officer. She enjoys working with small businesses as a ghostwriter as well as encouraging her children’s love for aviation in her free time—the running joke being that she only creates pilots, as all of her children love to fly!